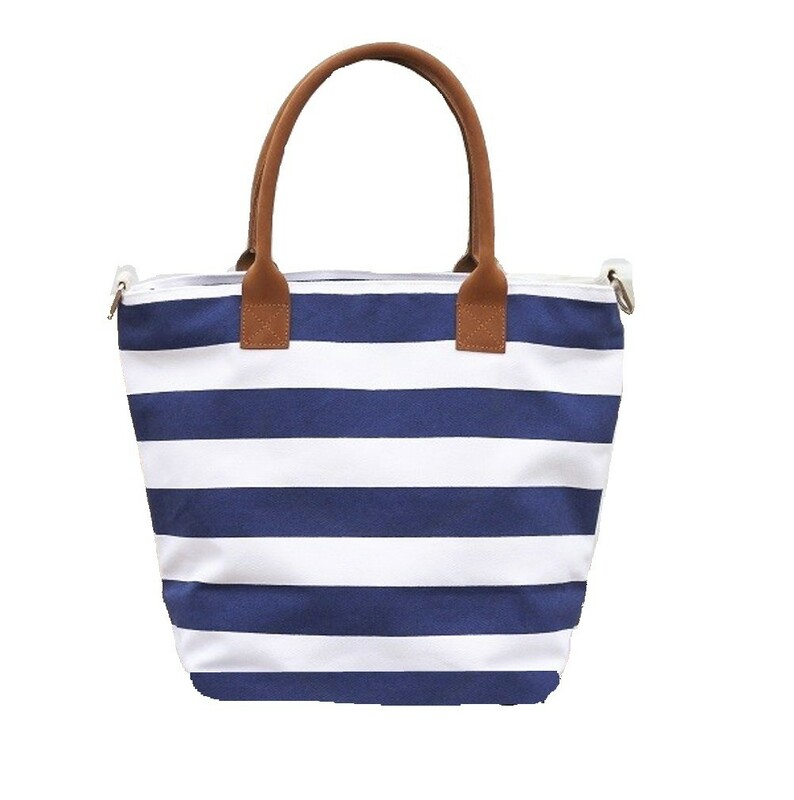 With real leather handles and a cotton webbing removable shoulder strap, these striped bags are perfect as an everyday tote. This bag has multiple interior pockets to help you stay organized. Carry it everywhere you go!